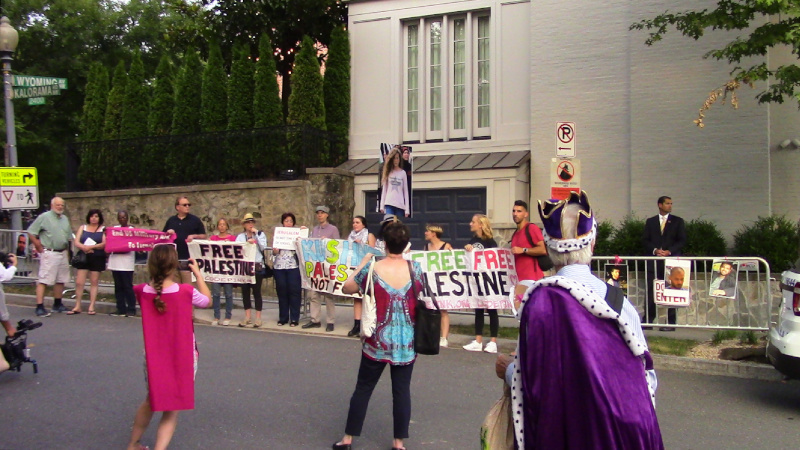 On the 12th of July, Trump son-in-law and senior adviser Jared Kushner received a protest at his house by activists demanding the right of return for Palestinian refugees. Kushner is promoting a "peace plan" without Palestinian input to transfer most Palestinian lands to 3ed party nations and expect peace in return for these wholesale evictions. Al-Jazeera has compared Kushner's so-called "peace plan" to a real estate deal of the type a landlord seeking to dispose of "problem tenants" from a highly desired property. The situations in places like Barry Farms and Congress Heights (and home demos against Geoff Griffis over Congress Heights) come to mind here. 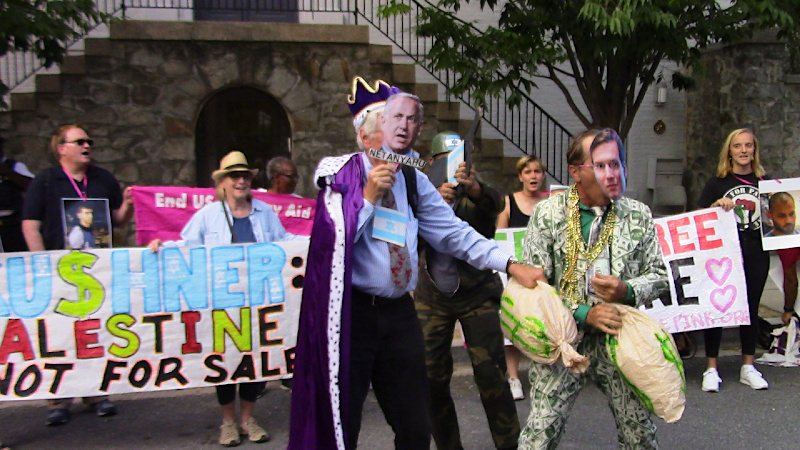 For their part, protesters staged a skit showing Benjamin Netanyahu being crowned King of Israel after selling off the West Bank and Gaza at auction to the highest bidders. Here Saudi Arabia comes to mind in more than one way. 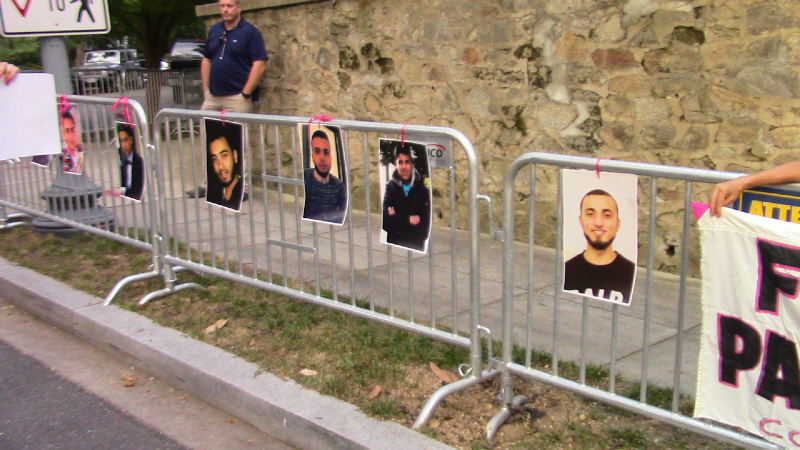 At the conclusion of the protest, photos showing some of the faces of the at least 147 nonviolent protesters shot and killed by Israeli soldiers were hung from the fence Secret Service had erected in front of the side entrance to Jared Kushner's palatial mansion of a house.